Recycling electronics has been an issue lingering in the background for quite some time but due to the digital transition, it's at the forefront. 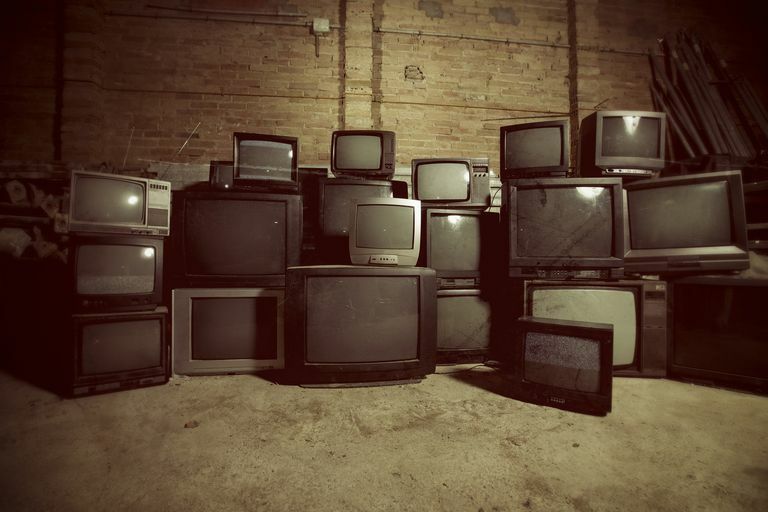 According to the Environmental Protection Agency, electronic waste can contain "hazardous materials, such as lead, mercury, and hexavalent chromium, in circuit boards, batteries, and color cathode ray tubes (CRTs)." The EPA also says that electronic waste has valuable materials, which "conserves natural resources and avoids the air and water pollution, as well as greenhouse gas emissions, that are caused by manufacturing new products." MRM Recycling, also known as Electronic Manufacturers Recycling Management Company, works with various manufacturers and establishes recycling programs across the United States. What's nice about this website is that you can click on a map of the United States and get a localized view of recycling centers in your area (if they exist). MRM was founded by Panasonic, Sharp, and Toshiba but it now has over 20 participating manufacturers. According to their website, the Environmental Health & Safety Online is "for EHS Professionals and the general public. We hope to answer your questions and concerns about the effects of chemicals in the air you breathe, the quality of the water you drink, food safety, and compounds found in building materials, etc. that you and your family may be exposed to." The site has a lot of information on state recycling programs and provides links to find the information you need. 1-800-Got-Junk is a private business that charges to remove waste from your location. On their website, they claim to remove almost everything "from old furniture, appliances, and electronics to yard waste and renovation debris." You'll pay for the convenience of this service. As such, it is expensive compared to doing it yourself. On their website, they say that they load the items wherever they are (even in the house). They also state that they "make every effort to recycle or donate the items we take away." Their website is clean in design and easy to use. It has a nice tool that will help estimate how much they'll charge to haul your junk away. YNot Recycle is a free electronics-only recycling service offered to residents within the state of California. According to YNot's website, they come to your residence at no charge to you and haul away your electronics. This service is probably a matter of law since it is illegal in California to not recycle electronics. Still, it's nice that it's free. YNot Recycle's website is easy to use. You can schedule your appointment online and learn about electronics recycling in California. eRecycle is a California-only recycling website that is different from YNot Recycle because it just shows you where you can recycle electronics in a specific county. You would then take your items to that center. YNot Recycle claims to come and pick them up at no charge. eRecycle has some good resources on the website, including links to information about recycling electronics. RecycleNet is an interesting website. It is sort of like Craiglist in that you post listings to buy and sell waste and scrap products. Only it's for large volume pieces, like 40,000 TVs. Therefore, it's not recommended for the general consumer. However, it could help on the business side of life as many companies will need to sell off old electronics and buy newer versions.